I am so excited to share these photos from this really lovely couple. 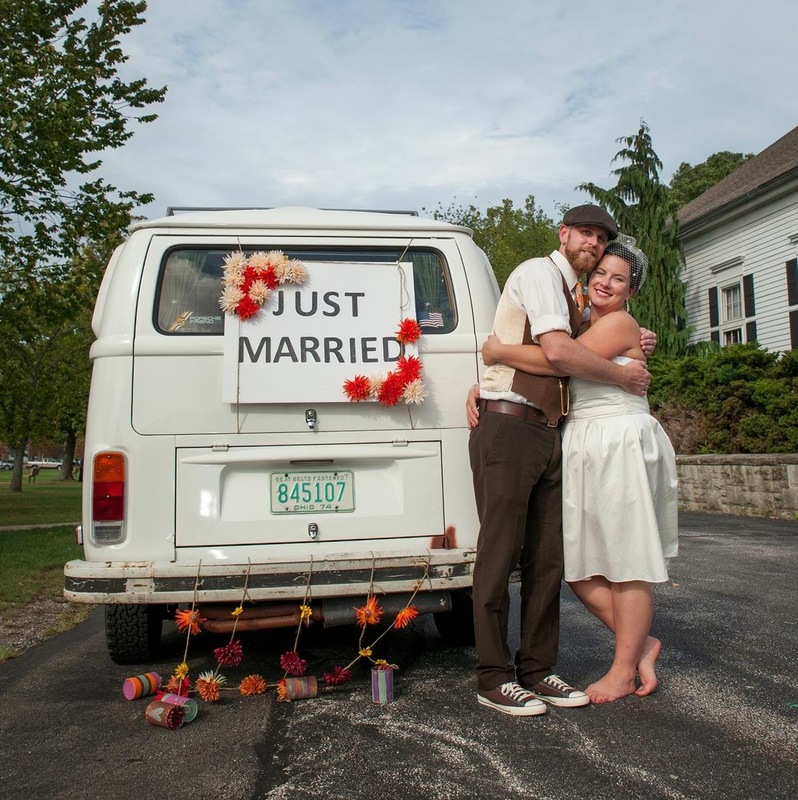 They were married in October in Cleveland on a Sunday. 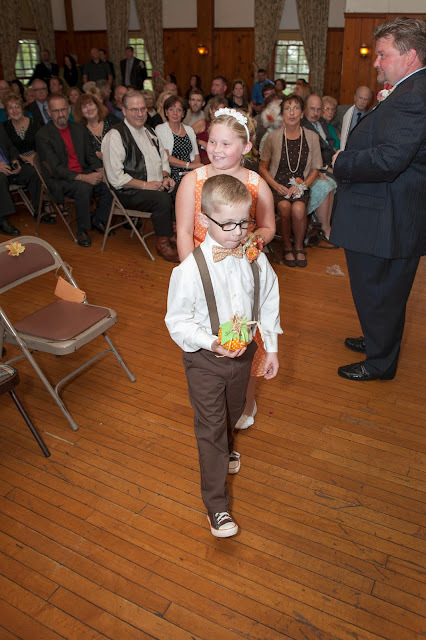 I first spoke with Danielle in early spring about getting three ties and a bow tie for their ring bearer and from the moment we talked, we hit it off. Suddenly, like old friends we were sharing texts about fabrics, wedding ideas, and a little snark too. 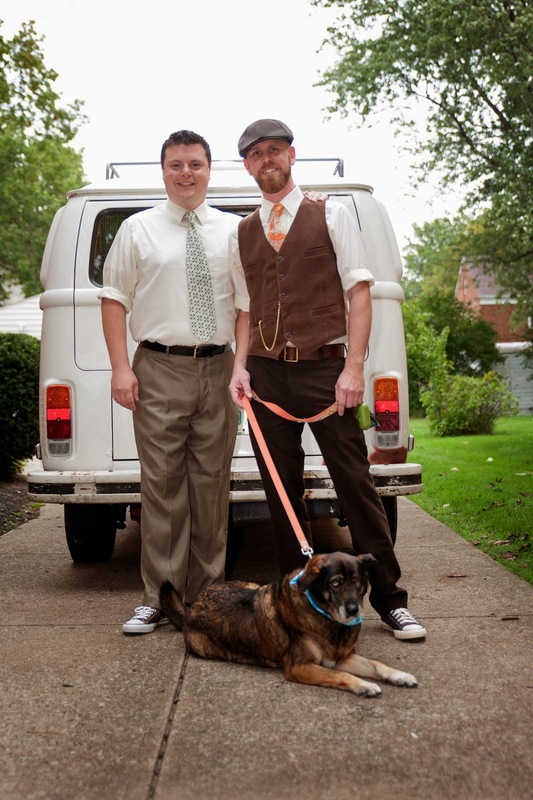 Their mission was orange and a minty green/blue for the groom, father of the bride, best man, and ring bearer, They opted for four different but complimenting patterns and it was a lot of fun. 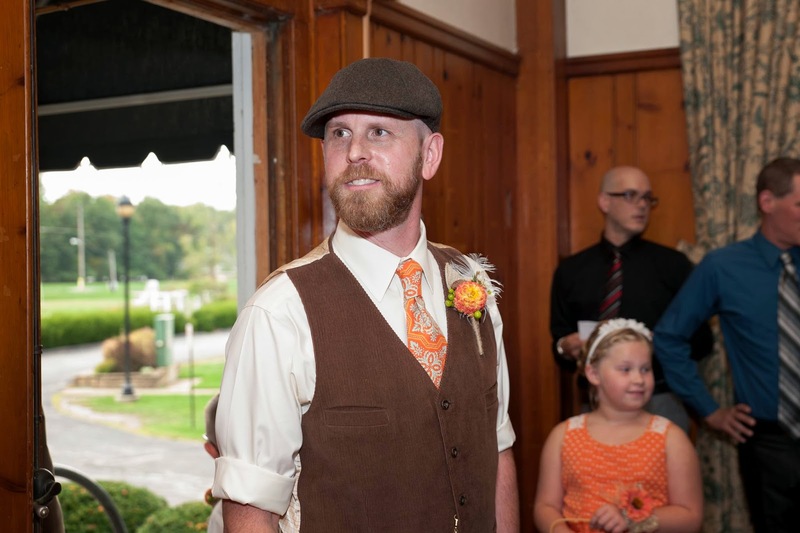 I love the vest and boutonniere combo. Matt's whole look was really fun, you can see in the last photo the chocolate brown Chucks! It was really great to work with such a fun and sweet couple! I wish you a lifetime of happiness! Thanks so much for letting me share a little bit of your day!